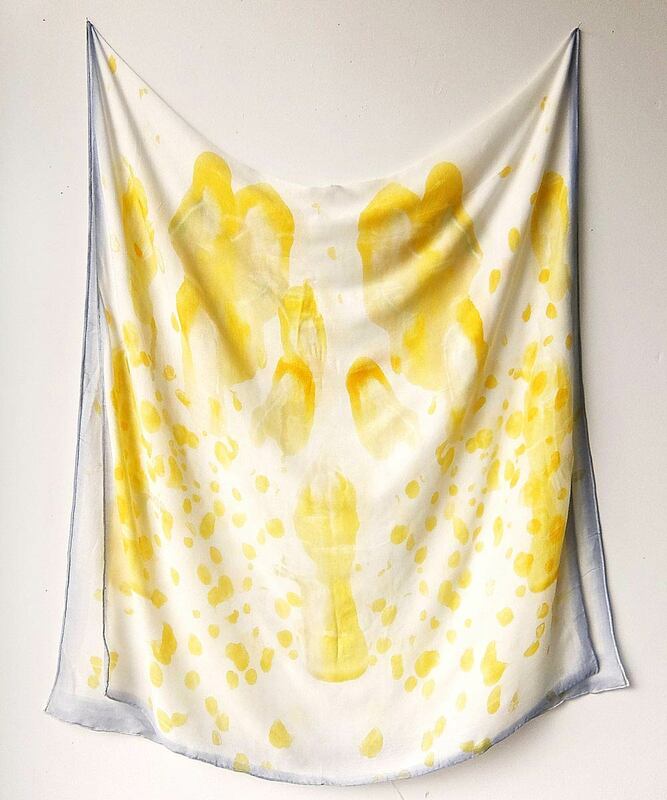 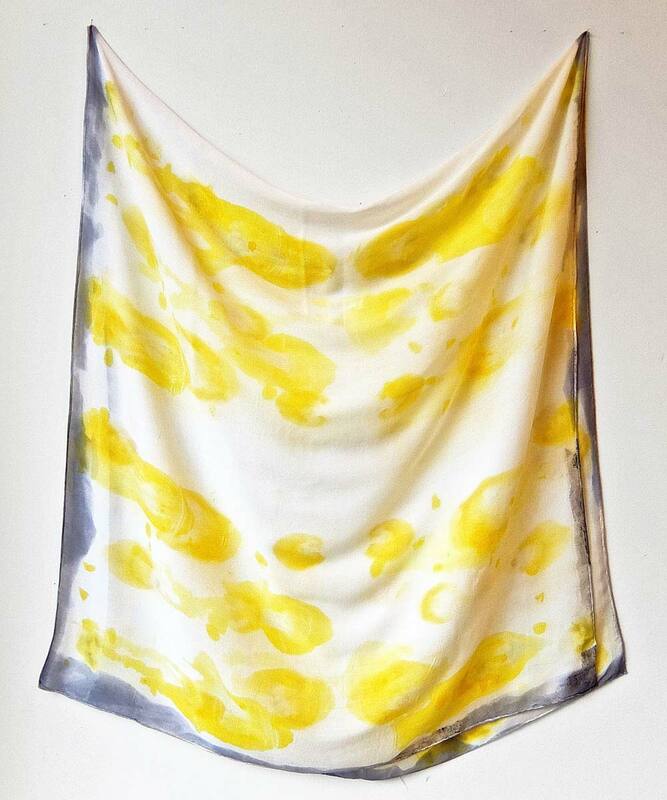 A series of ten printed scarves from Marigold: A Janis and Louise Collaboration 2016 (see post here). 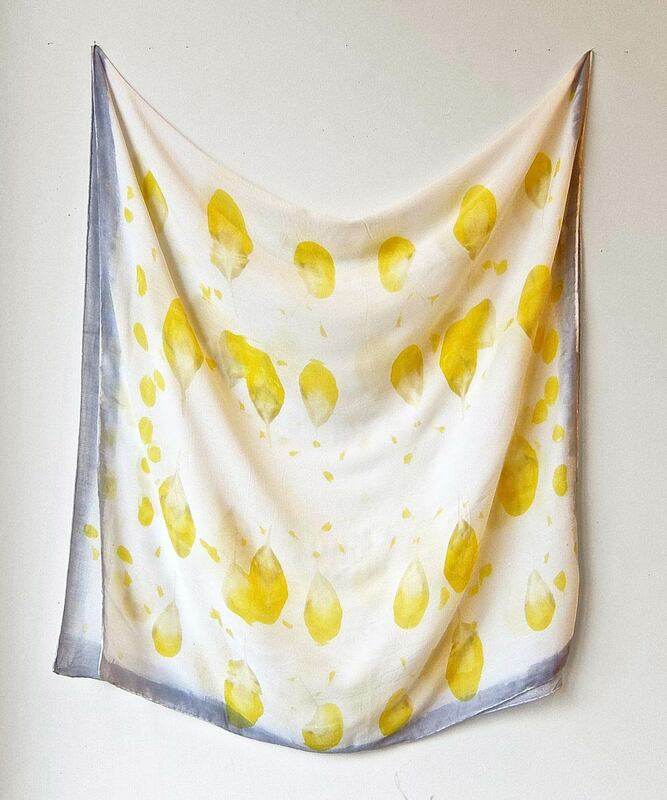 Made by Louise Eastman and Janis Stemmermann using a direct flower print method with marigolds grown and printed at the Russell Janis studio. 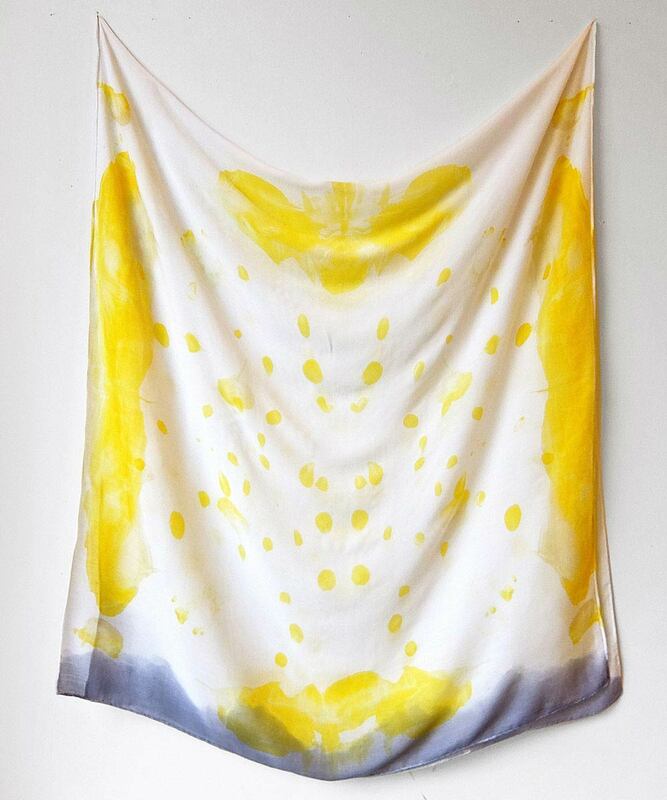 The lightweight scarf panel measures 30 x 80 inches, 30% silk/70% wool content. 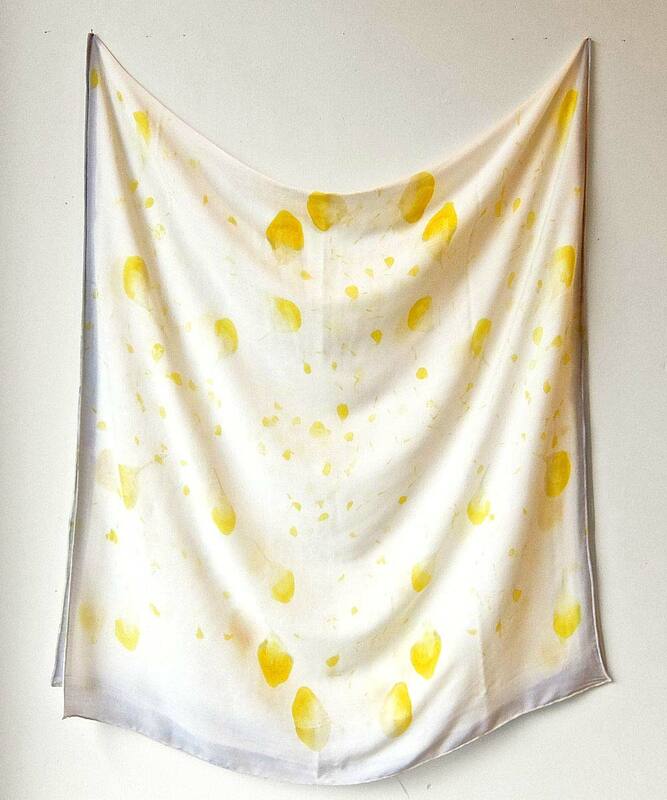 Each piece is unique and comes with an identifying project certificate. 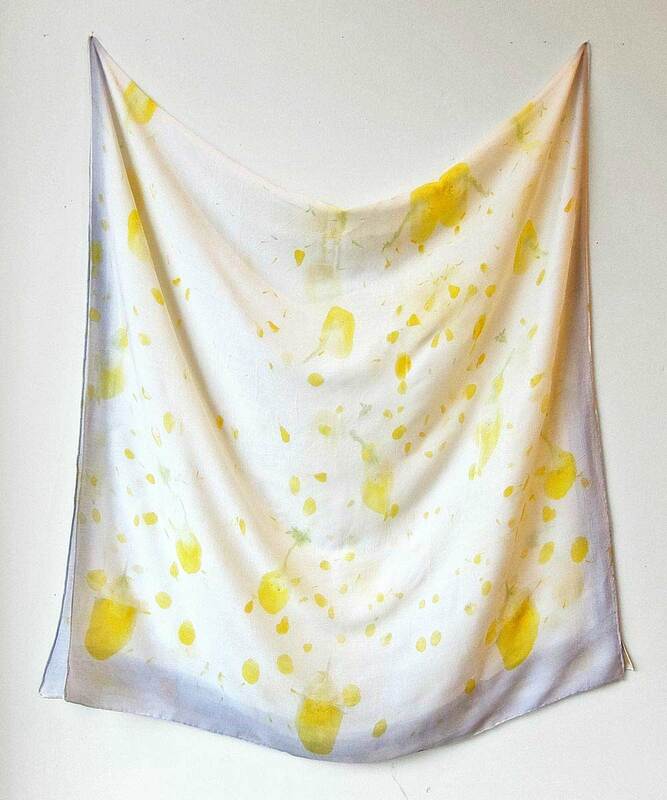 Be sure to take a look at the Marigold Wool Gauze version here.